Yesterday’s AllsopSpace auction with in fine form, with a high number of successful lots sold and what should be another record breaking sum raised – approximately €51 million in 171 lots. Sweetmount House was pegged at a reserve of between €950,00 and €1,050,000. In the end it achieved a fantastic €1,450,000. This block is not a stunning piece of real estate at face value but the site value could be potentially lucrative if the new owner can get planning for a more substantial block of modern apartments. The development will wash its face for now, but long term this location is prime for good quality real estate. This more substantial block in Lucan was listed at a reserve range of €3.5 – €4 million. It also sold above asking, at €4.15 million. We did pick this as the best investment of the three for yield and it has sold at a fairly good yield of just under 8% gross. This will make a fine cash cow for the new owner with a good mix of unit types and a strong rental market. Finally the attractive 23-unit development near Malahide DART Station that was seeking a reserve range of €4 – €4.5 million, just pipped the upper end of this guide and sold for €4.5 million. Although a not such an impressive initial yield compared to the Lucan property, the address and long term value will be very assured in the popular Malahide and in perfect commuter territory. 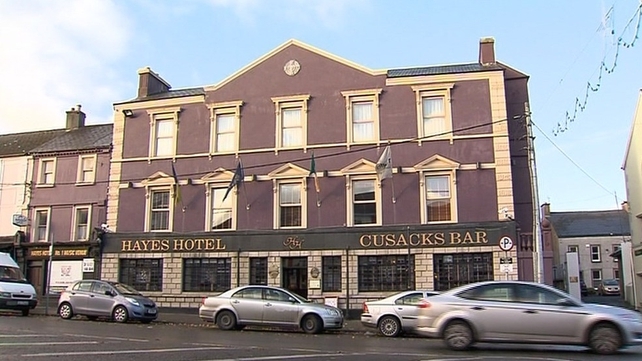 Elsewhere, the headlines were focused on the sale of the historic Hayes Hotel in Thurles, the birthplace of the the GAA. Despite call for it to be saved, the bidding got too hot and a starting bid of €475,000 quickly escalated to a final offer of €650,000. Pub sales were also very popular yesterday. Rambler’s Rest in Ballybrack sold for €590,000 and Scott’s Bar in Dun Laoghaire sold for €440,000. All in all another successful auction for AllsopSpace. The next date is not posted but likely to be early in the new year, giving us a break from hectic bidding for now.You can check out the full catalogue and results for yourself over at AllsopSpace. Next articleProject Cherry – The Saviour Of The Housing Shortage?